If you are anything like me, you are probably looking for a pair of comfortable walking shoes or boots that are reliable in the wet and sturdy enough to take you over rough terrain. Then look no further. Grisport boots and shoes are comfortable straight from the box, waterproof and breathable and have a sturdy five layer sole unit built-in to give you that extra support. 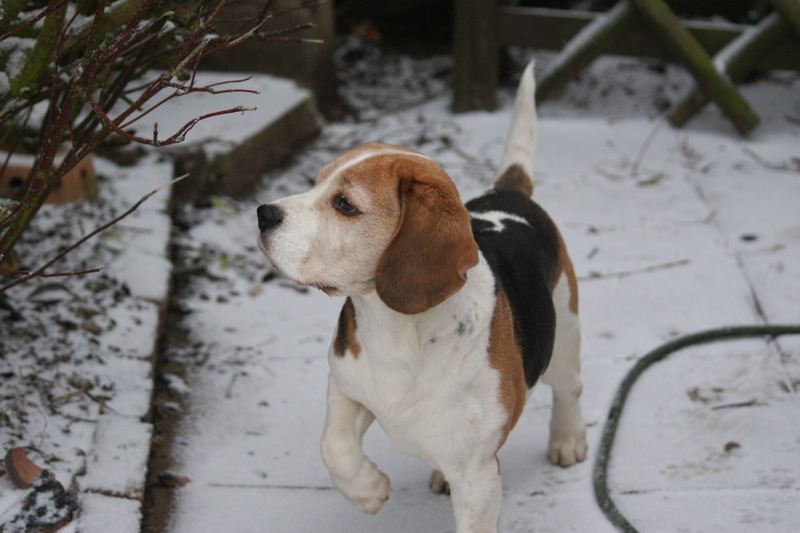 I have two excitable beagles who love going out for walks, no matter what the weather. 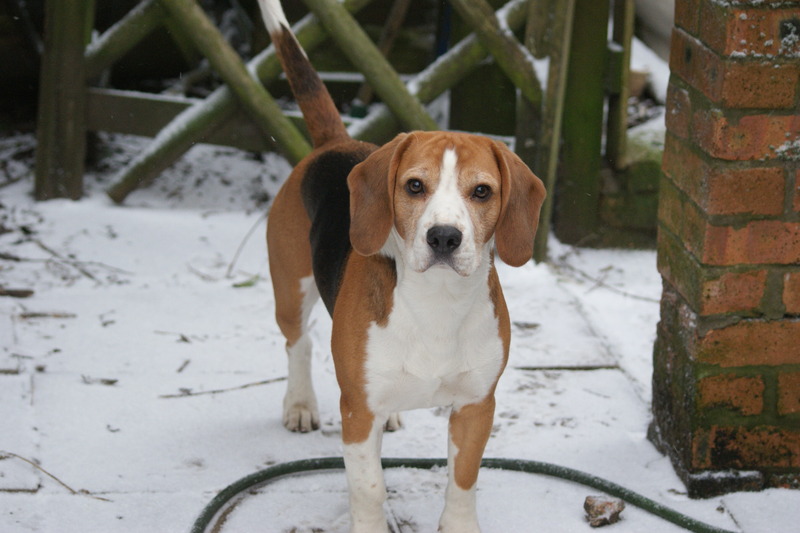 Patch, the youngest, loves running through brooks, puddles and mud and wherever he goes I go! Bailey, 8-year-old puppy, loves pulling my husband through puddles and streams. Therefore we both need boots that are comfortable and waterproof! 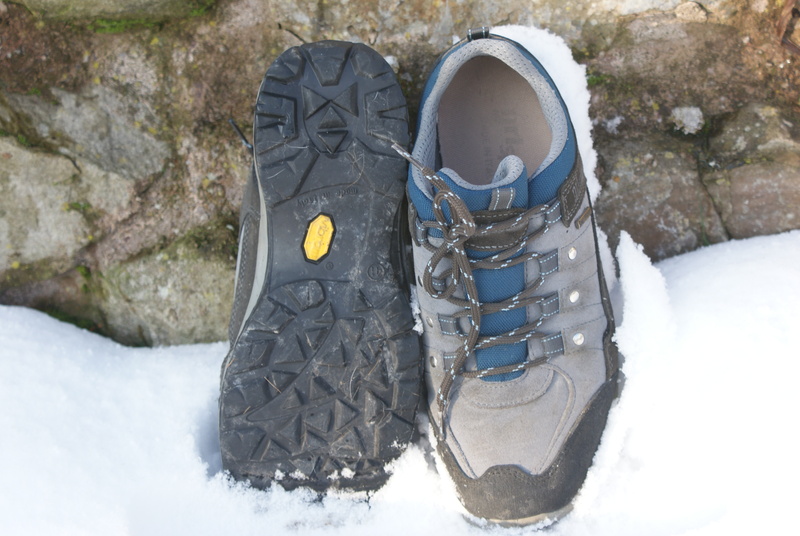 I currently have a pair of Grisport Ullswater walking shoes which suit me perfectly. They are waterproof, (although not river proof as I found out the other day), and extremely comfortable. I have had them for about 2 years, and wear them all through the winter (except when it snows, then I have to revert to my Neoprene wellies!) and they still look and feel new. The sole unit, which has an outer Vibram sole, hasn’t worn down much and it still gives me good grip when I’m pulled into all sorts of mud and slim. I have also found that the sole gives me good stability and this is due to the stabilizer layer of the sole. I very rarely re-proof my shoes (although I should), and to be honest, I probably re-proof my shoes about every 6 weeks! I allow them to dry in the back kitchen, brush off any mud and spray with Grisport all-weather waterproof spray. I have also learnt that it’s a good thing to take out my laces when they are wet, and allow them to dry on the radiator and then give them a quick spray. This prevents them from rotting or breaking easily. My husband has a pair of Hi Tec Para boots. As a typical man, he is always complaining that his feet are wet and cold when we take our doggies out. So although not the cheapest boots I have ever bought him, they are worth every penny. Comfortable, straight from the box and the size was just right! 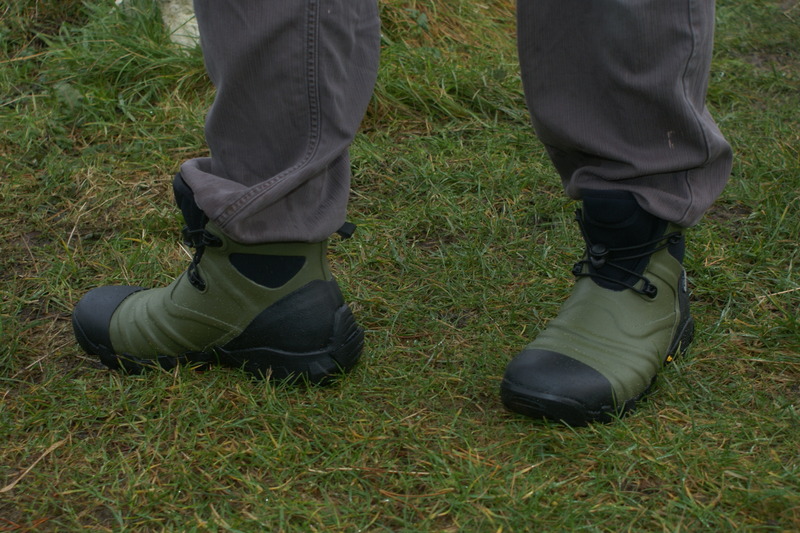 The Hi Tec Para boots are a fully neoprene lined rubber boot and have been constructed like a wellington boot but fits like a walking boot. With a Vibram outer sole, he doesn’t slip on wet tarmac or rocks and with a quick toggle closing system, he can jump in and out of his boots quickly. Now he doesn’t complain any more! The Hi Tec Para boots are a bit heavy for me, so I’m sticking with my Grisport shoes. I do fancy a new pair of boots and I have got my eye on a pair of Grisport Glencoe boots. It’s not as high as other walking boots, but it will give me a bit of ankle support. Now the next challenge – persuading my husband to buy them for me!